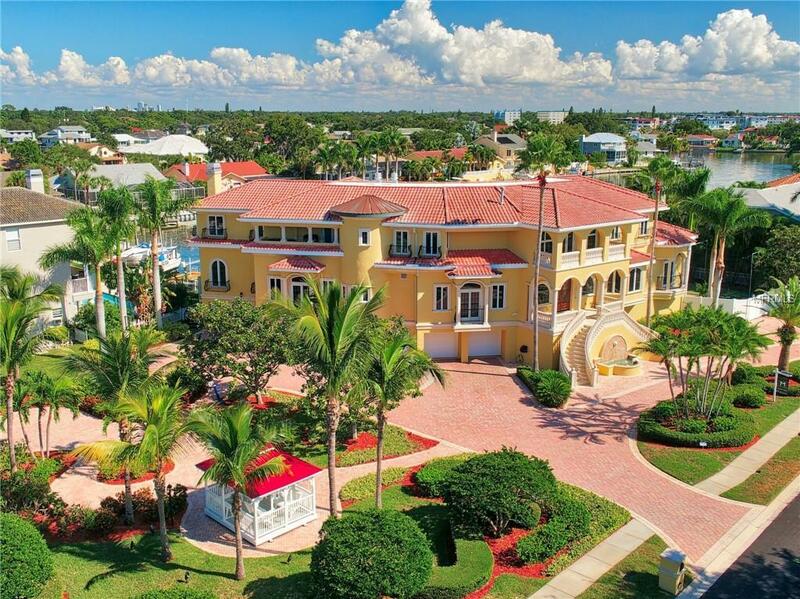 LUXURY WATERFRONT IN THE ONLY GATED BOATING & GOLF COMMUNITY IN PINELLAS COUNTY at PYCC! Welcome to this gorgeous 6 bedroom 8 bath custom built home that has it all from beautiful marble floors throughout to the batting cage outside you will enjoy pure luxury and stunning views from all three stories of this all BLOCK home. This home has 8327 heated square feet of beautifully detailed rooms and 128 square feet of water front complete with deep water a dock and lift and situated on 3 oversized lots. From sports to swimming all your activities are covered outside or you can go inside to enjoy the game room and bar. No detail was missed in this stunning home including the garage fit for an 8 car collection high ceilings and crown molding as well as the walk-in closets and elevator. This home has it all and is situated in the gorgeous Pasadena Yacht and Country Club an exquisite boating and golfing community.